Monster Gratitude headphones blow in at £199 | What Hi-Fi? More fashion headphones from Monster, this time in the form of Earth, Wind & Fire's Gratitude in-ear models. The eight-time Grammy Award winners teamed up with Monster to develop a pair of headphones that combine "leading-edge Monster audio technologies with the music and sound expertise of the legendary Earth, Wind & Fire", we're told. 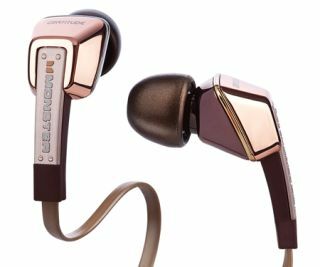 The Monster Gratitudes feature a distinctive "rose gold" finish, and were designed and personally tuned by members of the band and head Monster Noel Lee. Each pair of Gratitudes comes with a special carry case, and they sell for £199. You can find out more about the rest of Monster's fashion range of headphones in our earlier news story.